PT5505. 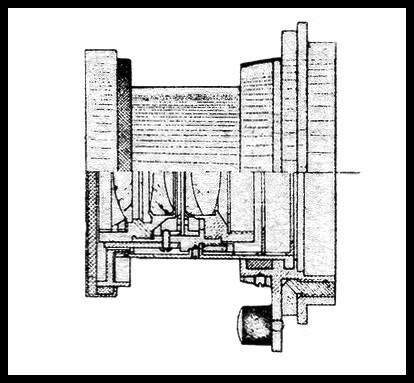 Collapsible VOOMP lens was calculated by GOI in 1932. 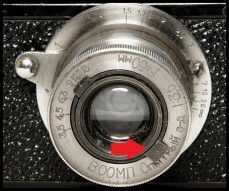 Focal length - 5 cm (5.2 cm), aperture range f3.5 - f18. Focusing range from 1 m to infinity. Number of elements/groups: 4/3. Angular field - 45º. Original Voomp Pioneer mount (M40). The particular version seems to be an earliest one without serial number on body yet. Single diaphragm control knob on the faceplate. 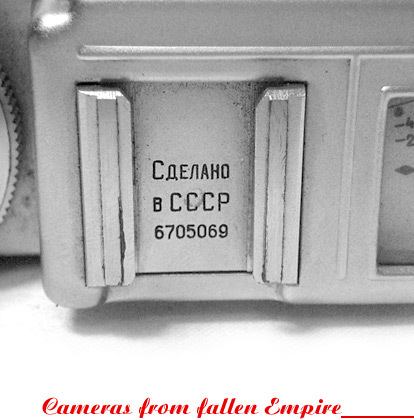 Mounted on VOOMP Pioneer camera with s/n #35 (SovietCams). 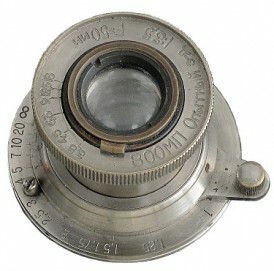 PT5505 - Voomp Pioneer lens. PT5510. 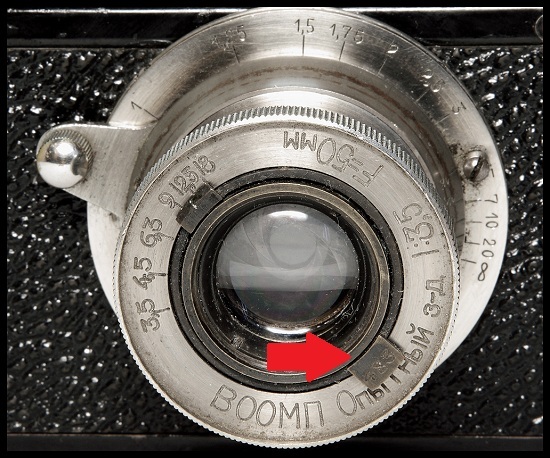 An early version of VOOMP lens again. 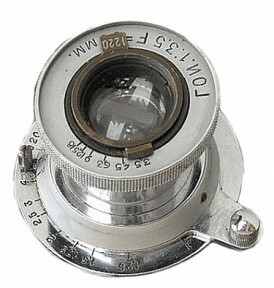 Very similar to PT5505, but with signally smaller aperture markings on the faceplate. The last character "8" is missing (see picture below). Lens opposite from Alexey Nikitin (Russia) collection. 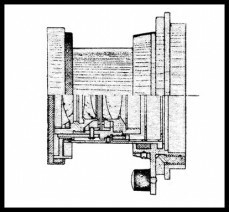 PT5510 - Voomp Pioneer lens. PT5515. Seems to be a regular lens for VOOMP Pioneer camera. 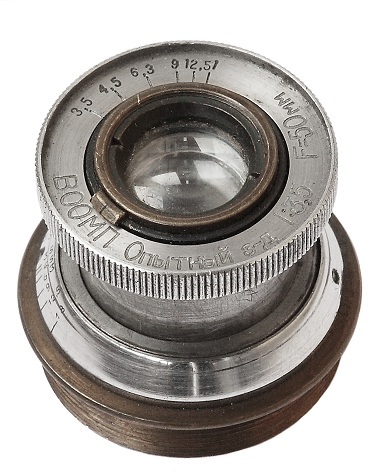 Slightly redesigned lens faceplate with doubled diaphragm control knob on it. 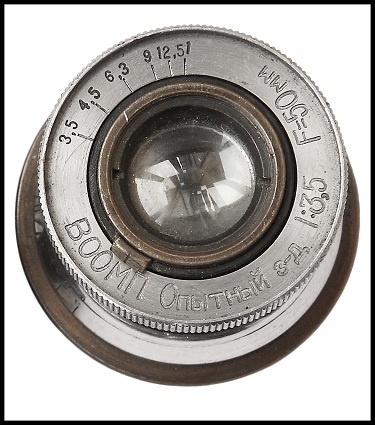 Serial number engraved on the wider diaphragm control knob (see picture below). 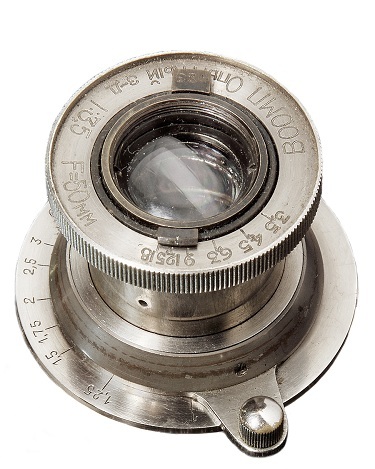 Lens #483 opposite from private collection in Russia. PT5515 - Voomp Pioneer #483. PT5530. Seems to be the latest version of this ultra rare lens. "GOI" markings, instead of "VOOMP" as on previous versions. Very thin faceplate engravings, filled in black. Different "Square" knurling, instead of straight one on previous versions (see picture below). Lens #1220 opposite from Yuriy Davidenko (Ukriane) collection. PT5530 - Voomp Pioneer #1220.